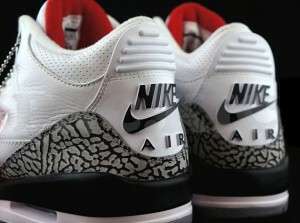 On Wednesday, February 6th, the nike twitter account will post a link for the Retro 3 ’88 White Cement. This shoe will NOT be available in stores! Only way to cop a pair is to follow nikestore on twitter. Cop These Kicks will keep you up to date with more info as we get it.